Pollutants in the land not only contaminate the land itself, but also have far-reaching consequences. Sources can be agricultural, industrial (including mining and metallurgy), and municipal wastes. 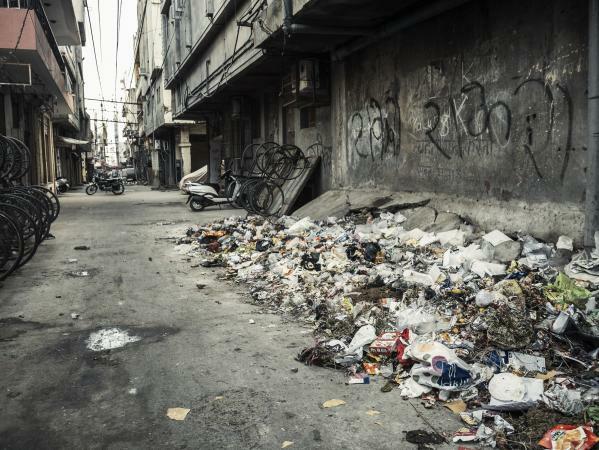 Acid rain, the spreading of water pollution to surrounding beaches and riverbanks, litter, and even new construction sites can also be sources of land pollution. One of the biggest threats to the ecosystem caused by land pollution is chemical contamination. 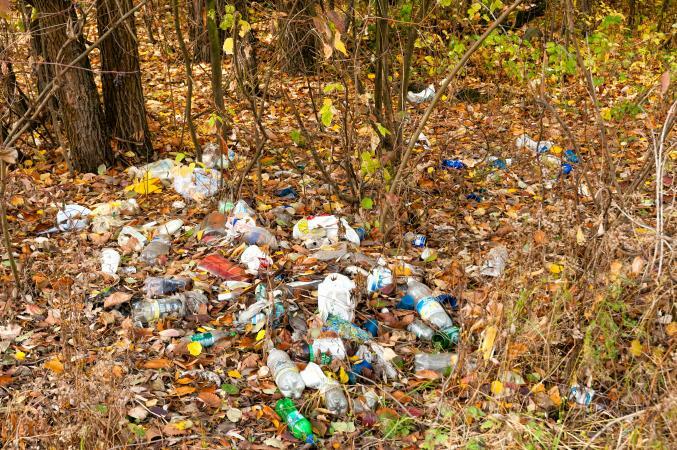 Plastics, toxins in wastes like anti-freeze, and other chemicals seep into the ground where they remain. These include persistent organic pollutants (POPs) that comprise a special group of chemicals. An International Institute Sustainable Development Bulletin (IISD) from 2016 explains that POPs are chemicals used by industry and/or in agriculture as pesticides and persist in the environment for a long time. Examples of POPs include DDT, dioxins, and polychlorinated bipenols (PCBs). Twelve POPs have been banned by the Stockholm Convention, a United Nations environment program to which the U.S. is also a signatory. A World Health Organization report from 2008 (WHO report) elaborates that POPs are unintended by-products of pesticides or produced by burning "coal, peat, wood, hospital waste, hazardous waste, municipal waste," and from car emissions (pg. 7). All chemicals, including POPs, poison the ground. Plants growing in the ground, animals that eat the plants, and even humans are all affected by these chemicals when they enter the food-chain. This can lead to the loss of some types of plant and animal life. POPs ultimately accumulate in waterways and oceans through runoff. They are carried over long distances over the globe affecting areas where these chemicals are not used. A scientific study in 2016 found that POPs are still a threat to marine life due to bioaccumulation. The WHO report lists the affects POPs can have on wildlife by persisting for centuries unchanged (pg. 3). These affect the immune, enzyme and reproductive systems, and cause tumors in mammals, reptiles, fish and birds. Some changes seen are thinning of bird egg shells, and population decline in seals, snails, and alligators (pg. 8 & 9). When land pollution is severe, it damages the soil. This leads to loss of fertility and means that native plants may fail to grow there, robbing the ecosystem of a food source for animals. Ecosystems may also be upset by pollution when the soil fails to sustain native plants, but can still support other vegetation. Invasive weeds that choke off the remaining sources of native vegetation can spring up in areas that have been weakened by pollution. These invasive weeds can initially arrive on site as part of waste, according to the University of Florida. A Food and Agriculture Organization of the United Nations document on soil biodiversity (FAO soil biodiversity document) points out excessive use of chemical fertilizers and pesticides kills beneficial soil microorganisms, reducing their biodiversity with devastating consequences for soil health. Microorganisms are necessary for a couple of things that contribute to the fertility of soil. Nutrient cycling - Converting nutrients into forms that can be readily used by crops is done by microorganisms. Breaking down toxic compounds - The compounds are produced as "by-products of organisms and agrochemicals." This would decrease pollution of the soil, which in the absence of microorganisms accumulates over time, and the vicious circle of pollution grows. Soil is a dynamic ecosystem in its own right, and when it is upset it affects "plant, animal, and human health" according to FAO. Sometimes, pollution can damage the soil to the point that vegetation no longer grows. This may lead to erosion of the soil. This is especially common in agricultural fields, according to the Union of Concerned Scientists. Chemical fertilizers and pesticides kill microorganisms necessary to degrade organic matter that improve soil structure. 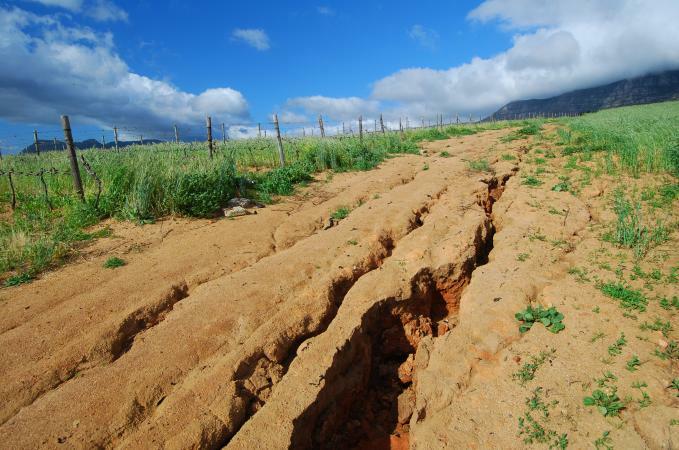 In the section 'Organics soak up water,' an FAO document on erosion explains that "nearly all soils containing little or no organic matter are very susceptible to erosion." Organic matter helps to absorb and store water, and binds them together into larger aggregates. The FAO soil biodiversity document elaborates that altered soil salinity due to chemicals can also reduce fungus species and numbers, which makes soil prone to erosion as fungus helps bind soil particles together. Erosion leads to the loss of topsoil in the earth. The World Wildlife Fund reports that half of earth's topsoil has been lost in just the last 150 years. This can reduce land productivity and cause pollution by clogging waterways. Land pollution can be caused by contact with contaminated areas, through polluted water ways, or acid rain created from air pollution. This pollution can spread in the other direction so that polluted land has a negative impact on surrounding environments. One of the major effects is that the chemicals dumped in cleanup sites leach underground and contaminate groundwater sources. The U.S. Environmental Protection Agency (EPA) considers limiting this damage very important since ground water is used for drinking and agriculture purposes. Nutrient pollution, caused partly by runoff of chemical fertilizers from farms, is a major form of pollution according to the EPA. Increased levels of nitrates in water can be harmful to infants even in low quantities. The resultant air pollution can affect human "ability to breathe, limit visibility and alter plant growth." Moreover, it can lead to depletion of oxygen in waterways, affecting fish life. There is enough evidence that there are serious health implications both due to heavy metals and POPs pollution of land. In China, "cancer villages" are linked to areas where farming occurs in land polluted by over-application of chemical pesticides and other heavy metals according to a scientific publication of 2015. In Europe, it is estimated that cancers are caused by arsenic, asbestos, and dioxins; neurological damage and lower IQ results from lead, and arsenic; kidney, skeletal, and bone diseases arise from pollutants like lead, mercury, fluoride, and cadmium. Though cost to people and society is already reckoned in millions of dollars, it is suspected that these estimates of damage may not be comprehensive enough according to a 2013 European Commission report (pg. 4). In the U.S., the Environmental Protection Agency (EPA) acknowledges that humans and wildlife alike can be affected by exposure to the pollutants through breathing them in, eating them (via water or through food sources), or by touching them. However, they have no estimates of damage at a national level. The health impacts due to POPs arise from both acute and chronic exposure. The IISD states that POPs even in small doses "lead to cancer, damage to the central and peripheral nervous systems, diseases of the immune system, reproductive disorders and interference with normal infant and child development." Mass poisoning due to food contamination has also occurred. For instance, in 1968, rice oil contaminated by PCBs and PCDFs affected more than a thousand people in Japan and Taiwan. Children born even after seven years to women exposed to these POPs had minor deformities and behavioural problems, according to WHO (pg. 6 & 10). "Limiting job growth, economic development and tax revenue"
Reduction in "surrounding property values"
Many of the long-lasting effects of polluting the land, such as the leaching of chemicals into the soil, cannot be easily reversed. The best way to deal with land pollution is to keep it from happening in the first place. Stepping up recycling efforts and preventing overuse of soil that makes it acidic and contaminates nearby areas will keep the problem from spreading. Wherever possible, contribute to cleanup efforts to help prevent land pollution from becoming worse.